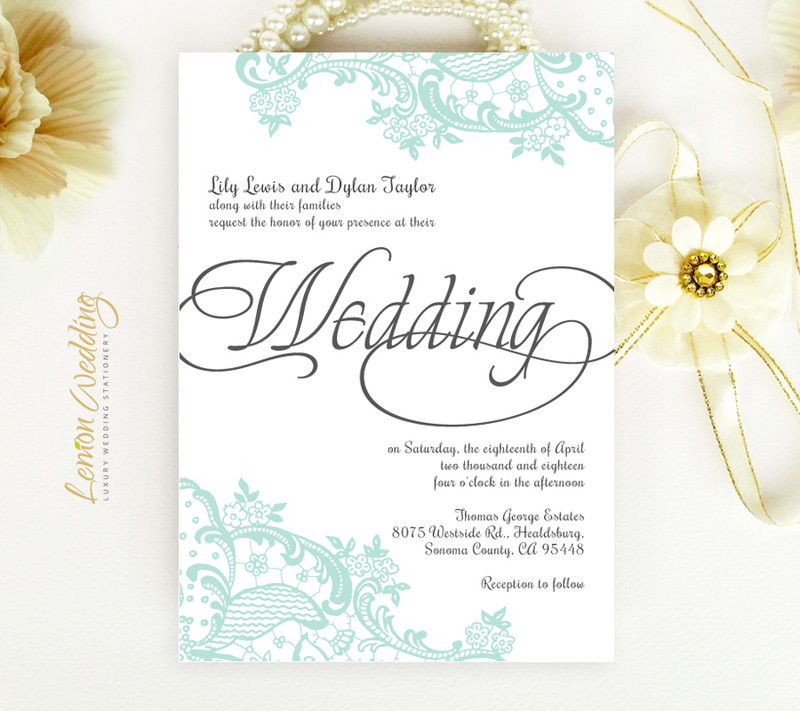 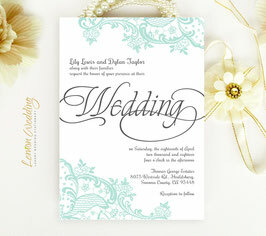 Finally get everyone excited for your special day with our Mint Green Wedding Invitations. 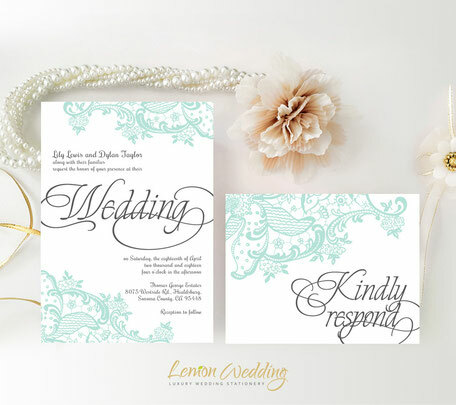 Just like your upcoming wedding ceremony, our mint invitations will set the tone for the joyous occasion. 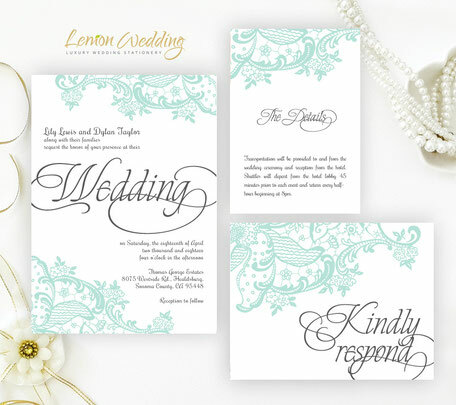 Our invitations will share the most important details of your wedding day surrounded by a mint lace pattern printed on premium paper.